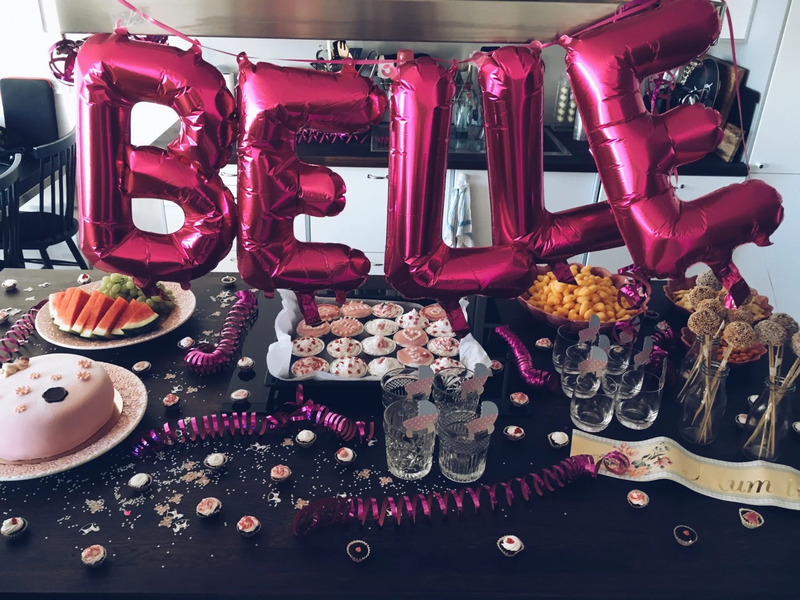 Arranged a babyshower today with Lollo, for our soon to be babygirl Belle and our dear mama friend Mimmi. We surprised her at a lunch restaurant close to my apartment, where she had lunch with Lollo. Then me and 8 other girls popped up and kidnapped her. When we got back to the apartment, we had fixed the decor all morning, she got surprised again. 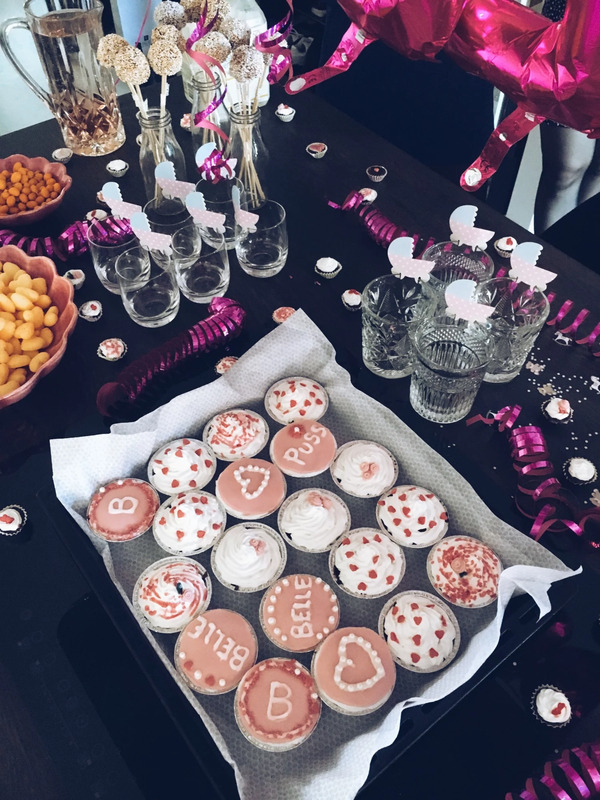 We had a lot of balloons, gifts and sweets waiting for her! Then we had a baby quiz, guessing games with baby food and some other stuff. She was so surprised and happy about the little event, that just made my day. Can't wait to meet Belle!